According to both J.D Power and J. Cole more people want to ride around town in the big ole Range than any other vehicle. 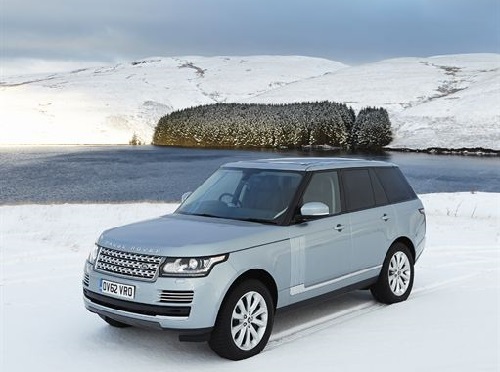 The Land Rover Range Rover is the vehicle with the most consumer appeal, according a J.D. Power and Associates study. The study is called the 2013 U.S. Automotive Performance, Execution and Layout (APEAL) Study. Like its name suggests, the study is a look at what vehicle makes and models owners find most appealing. The Range Rover is not just the most appealing vehicle in its class, but of all models in the world at any price and in any car segment. The Range Rover, which is a large luxury sport utility vehicle, is the first non- large premium car to ever take the overall win. Indeed, the Range Rover is the first all-aluminum unibody SUV on the market, technically, since it is a unibody vehicle it is a crossover, but that term does not do justice to the Range Rover’s capabilities. The Rover can hit 60 mph in under 60 seconds on tarmac and is more than able to go anyplace any other off-road SUV ever will. Retailing in the $100K range, the Rover is as much sought after as any supercar. Hit maker J. Cole recently immortalized the Range Rover with the line “Ride around town in the big ole range…” in his song, Work Out.